NYXIA UNLEASHED picks right back up where Nyxia ends which can be fantastic if you just finished the first book and want to dive into the second. Not quite so good when you have had to wait a few months to get your hands on it as all the tension has eased off quite a bit and you might have to get to know the characters again. You can read NYXIA UNLEASED as a stand alone but you will miss a lot of the nuances to the characters so I don't suggest it. This book is all about what happens when you take a bunch of teenagers, train them to be a weapon and they find out just how much you have been lying to them. Sure there isn't much that a bunch of kids can do against a huge corporation, or is there? Emmett and the group continue to grow and form into a unit, a family. And it is a family that will stop at nothing to make things right. 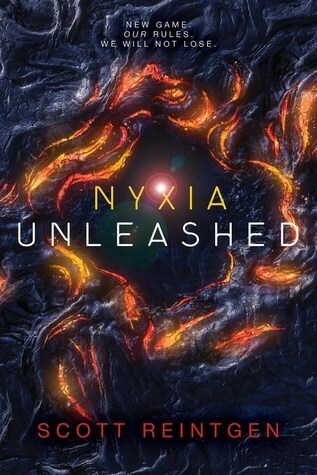 NYXIA UNLEASHED is the middle book with all the associated issues of the middle child. It's not a new or fresh as the first born but it has to hold our interest enough that we will continue onto the final and hopefully spectacular conclusion of the final child. I feel that this book more then succeeded. It took a few pages for my brain to bring me back up to speed on the characters but it didn't take them long for me to become entranced again. And we got to learn more about the other team that was introduced towards the end of Nyxia. And there are definitely some interesting characters in that bunch such as Morning who is a good match and compliment for Emmett. There were more then enough twists and turns to engage and hold my interest. And now I can't wait for the final book! I do highly recommend this book to any of my readers who enjoy character driven science fiction. This is a young adult series but really it is one that would appeal to readers of all ages. 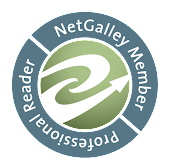 Scott Reintgen is an author to keep an eye on and just click here to be taken to his website.